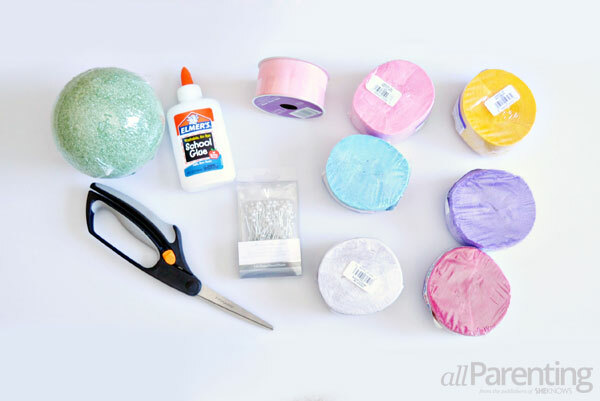 The first day of spring is March 20, and it's the perfect occasion to do some crafting. 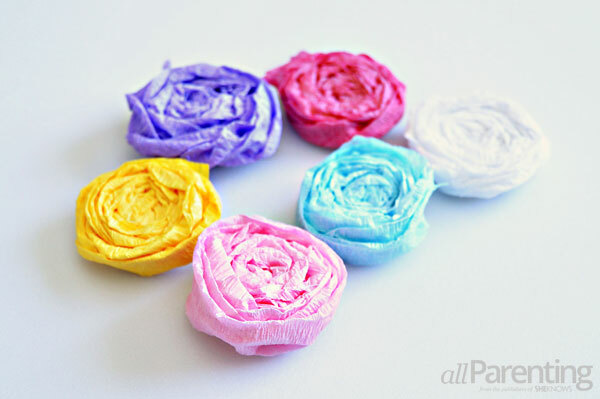 Say goodbye to winter and welcome spring with a colorful paper pomander for your home that couldn't be easier to make! When spring arrives after a long winter, it's natural to want to bring some of those vibrant spring colors straight into your home. 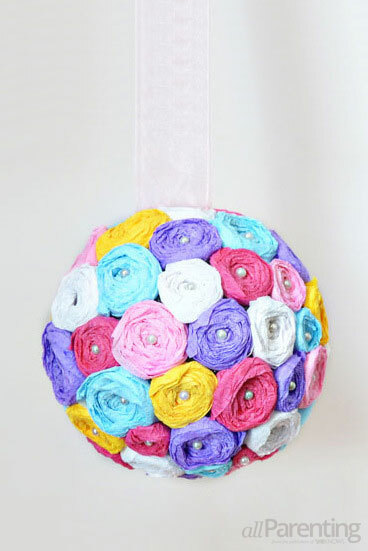 This pretty paper pomander does just that, and is sure to add a touch of cheerfulness to any room in your home. Cut a piece of crepe paper that is 18 to 24 inches long. Crumple up the crepe paper, and then unfold it. 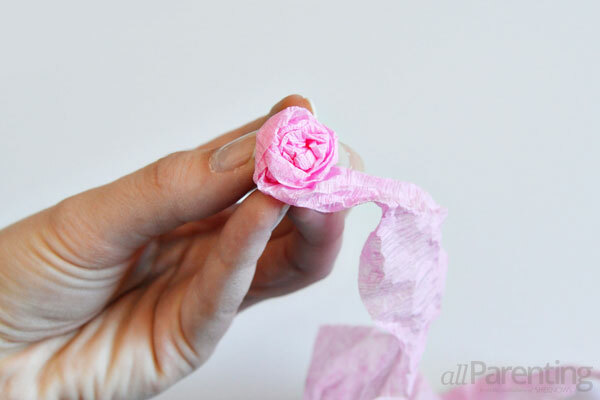 Begin wrapping the crepe paper in a spiral to create the flowers. Use a dab of glue every few turns to hold the paper together. 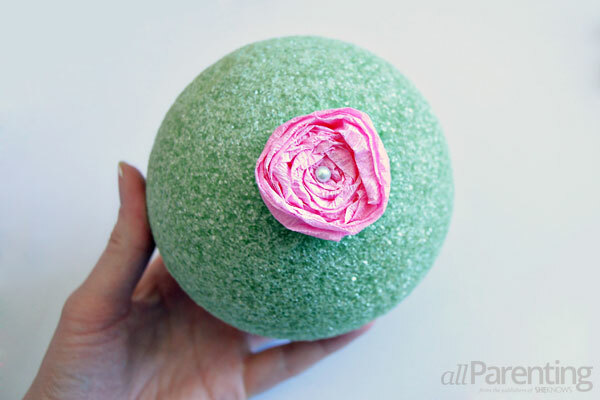 Make enough crepe paper flowers so that you can cover the entire Styrofoam ball. Slide a floral pin through the center of one of the flowers, then press the pin into the Styrofoam ball to hold the flower in place. 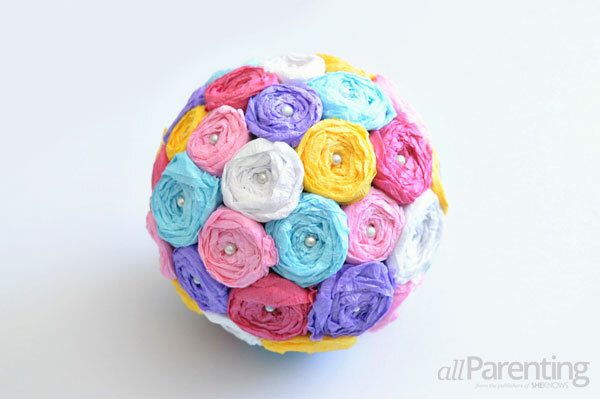 Keep adding flowers to the Styrofoam ball until it is completely covered. Cut a piece of ribbon, and overlap the 2 ends to make a loop. 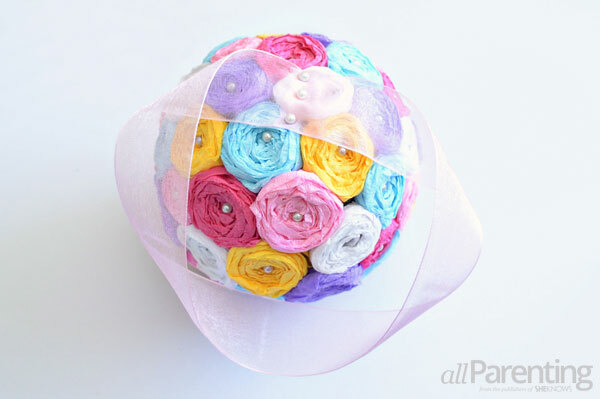 Use 3 or 4 floral pins to pin the overlapping ends to the ball. 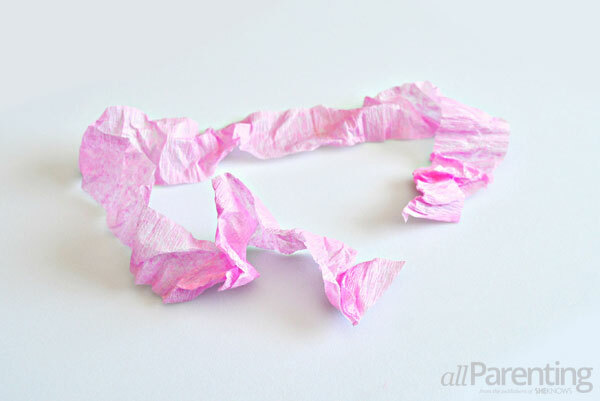 Now your pretty paper pomander is complete!